Manufacturer of a wide range of products which include pneumatic hose assemblies, s. s. corrugated hose assemblies, high pressure hydraulic hose assemblies, hydraulic rubber hose assemblies, special hose assemblies and spiral wire braided hose assemblies. Backed by our rich domain expertise, we are engaged into offering S. S. Corrugated Hose Assemblies. We manufacture this entire product range using industry grade stainless steel in compliance industry set standards. The products series is available with us in variegated shapes and sizes to cater to the clients’ variegated requirements. 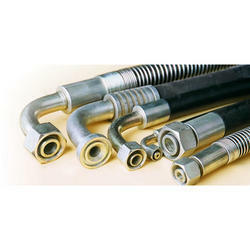 We are one of the prominent manufacturers of High Pressure Hydraulic Hose Assemblies. All hoses assemblies like R1, R2 spiral for hydraulic, pnumetic, water and many more application with varioues type of end fittings like BSP, NPT, JIC, JIS, DIN, METRIC, SAE FLANGES stright female swival nut, male, 90 & 45 deg. bend in CARBON STEEL, MILD STEEL ms ,STAINLESS STEEL ss, BRASS and aluminium material grade. 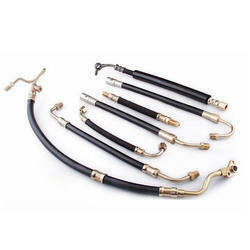 Being a renowned name in this industry, we are engaged in offering a quality range of Hydraulic Rubber Hose Assemblies. These offered assemblies are manufactured using premium quality rubber material coupled with advanced hydraulic technology in adherence with international quality standards. Moreover, our offered assemblies are well tested on various parameters to ensure flawless products. 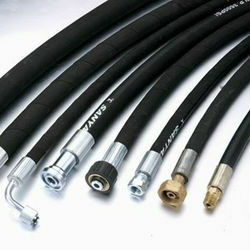 We are involved into offering a range of Special Hose Assemblies. 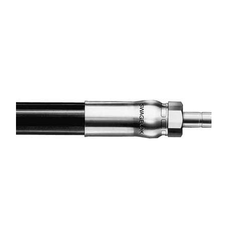 In these assemblies, our engineers use the metal hose and expansion joints technology in order to meet the requirements of complex applications. Moreover, these value for money product is highly reliable in terms of quality. Our clients can avail this product from us in customized specifications as per their diverse demands. Backed by our vast industry expertise, we are mainly engaged into offering Spiral Wire Braided Hose Assemblies. Our skilled engineers have specially designed these assemblies using stainless steel wires in order to make the hose pressure compatible. The offered assemblies are used for many critical engineering operations. his is available in various specifications and can be customized as per the application requirements of the clients. Owing to our vast experience and rich knowledge of this domain, we have been able to offer SS Corrugated Hose to our valuable customers. Their high tensile strength, flawless design, steady performance and high resistance to corrosion make these fittings highly demanded. Offered fittings are available to us at highly affordable prices. 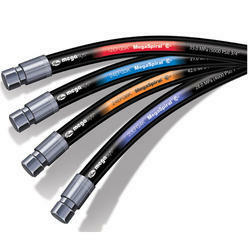 Being a well-established name in this industry, we are engaged into offering Chemical Hose Assemblies. The offered assembly is extensively used for transferring various chemicals. 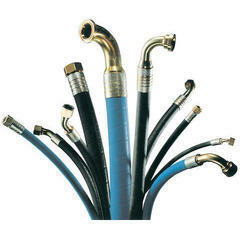 The inner surface of the hose is made from materials like rubber that protect the body of these assemblies from abrasion and avoid unnecessary bending. his is available in various specifications and can be customized as per the application requirements of the clients. 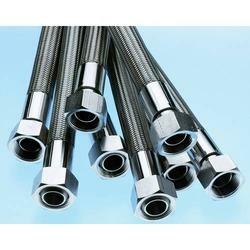 We are one of the prestigious organizations that offer premium quality Wire Braided Hose Assemblies. 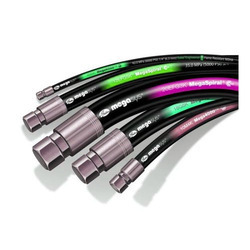 These hoses assemblies are reinforced with quality wires on all external sides. Moreover, these assemblies are used in motor sport racing cars due to the optimal performance. To cater to the ever changing demands of our valued clients, we offer them a range of Thermoplastic Hose Assemblies. 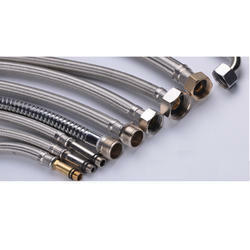 The offered product is specially designed to withstand high pressures and is best suited for suction and delivery line. Hence, these assemblies are widely used in agriculture industry and medium and high pressure applications. We can also offer these assemblies in customized designs.